Instructor User Guide Site InfoHow do I add LaTex language to my course site? 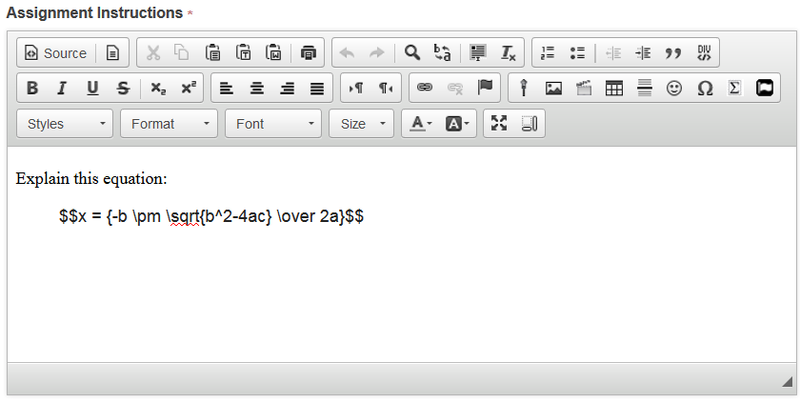 Sakai can display LaTex equations as mathematical notation in most tools. Using LaTex options, instructors and students can simply write LaTex in an enabled tool and the resulting equation will be displayed beautifully. Click on Edit Site Information. Zoom: Click on Edit Site Information. Click on the Edit Site Information button. Scroll to the bottom of the Edit Site Information screen to find the check box to enable the LaTex language for the site. Then click Continue. 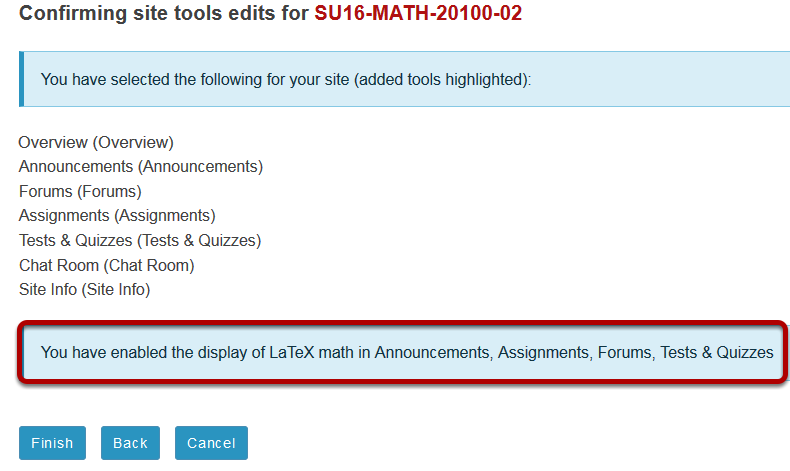 Click Finish to confirm addition of LaTex to the course site. From Site Info button menu, select Manage Tools. This opens Course Site Tools screen. 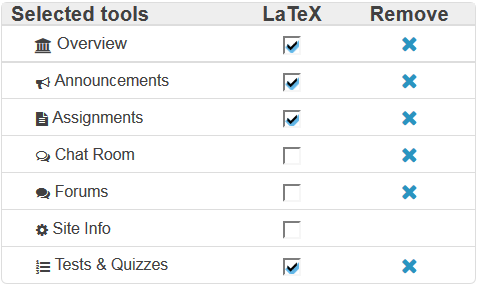 Use Selected Tools list (upper right hand side of Course Site Tools screen) to check boxes for all tools in which you want to use LaTex equations. Confirmation screen displays tools for which LaTex has been enabled. Click Finish to confirm. Enter LaTex equation in rich text editor of selected tools. Next: What is the Site Members tool?